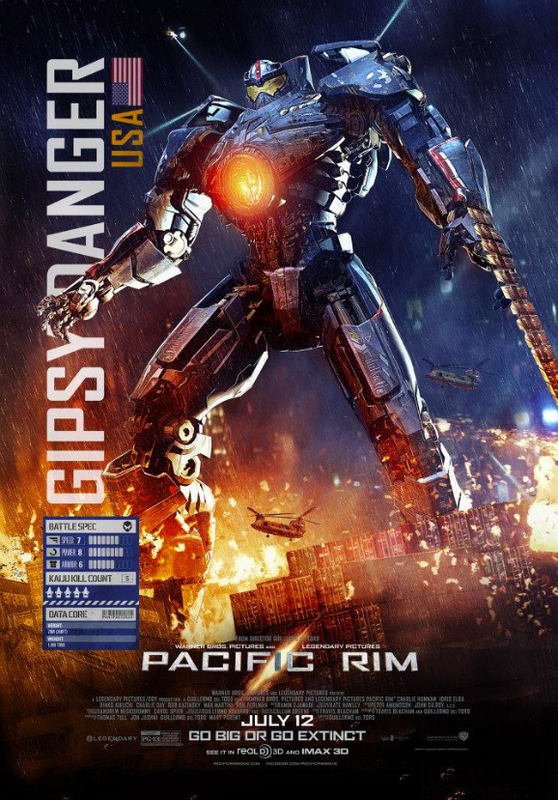 Pacific Rim follows the adventures of the men and women who pilot giant mechanical warriors called Jaegers against skyscraper-tall monsters from another dimension called Kaiju. The studio has set up a booth at Comic-Con where fans and passersby can slap on an Oculus Rift headset and completely immerse themselves in the mechs-versus-monsters action. From the reports we’ve heard, this means you get to experience first hand the opening scene of the movie, piloting your Jaeger against a giant beastie that just emerged from an inter-dimensional rift at the bottom of the ocean. And are there any of us who watched that scene and didn’t want to do exactly that? 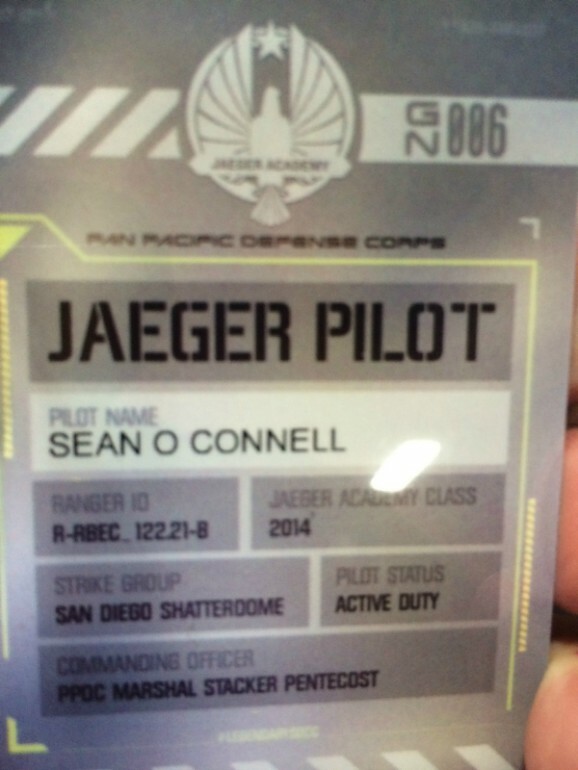 You even get one of these sweet Jaeger pilot’s license. 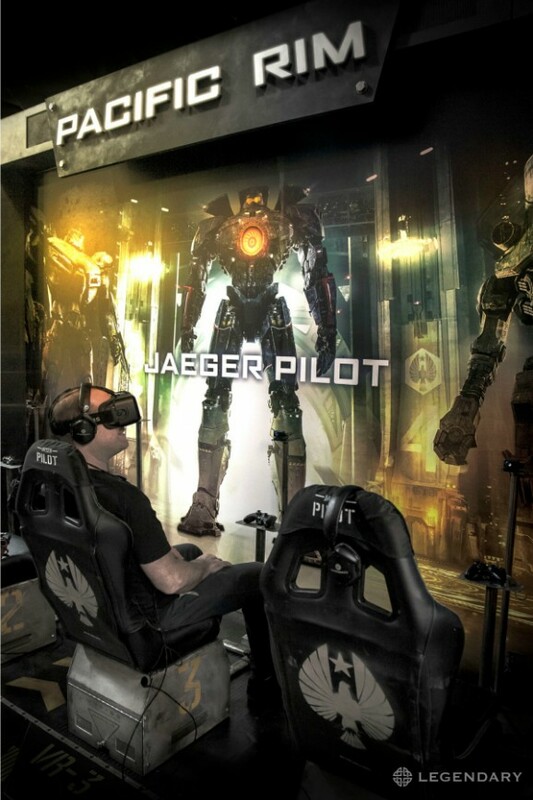 Created by the leading pioneers of virtual reality, Oculus VR, the attraction delivers a new benchmark in virtual reality experiences as fans will step into a fully-realized Jaeger Combat Simulator and experience what it feels like to pilot a 250-story robot. Created with original film assets from Industrial Light & Magic and developed within Unreal Engine 4, Pacific Rim: Jaeger Pilot provides a thrilling first-person battle between Gipsy Danger and the kaiju codenamed Knifehead. Everyone who completes the simulation will sign-up to ‘Join the Fight’ and be awarded their own personalized Jaeger Pilot badge, paving the way for the future of the franchise. While that’s all well and good for fans lucky enough to be there in person over the next few days, what does that mean for the rest of us and for the future of Pacific Rim as a franchise and movies in general? From this, it isn’t difficult to imagine a not-too-distant future where movie theaters are equipped with such technology in order to provide a full, 360-degree immersion into the world of a movie. Or perhaps this technology could even replace the theater-going experience entirely, allowing such an experience in your own home. This is still a way off, and isn’t going to play into Pacific Rim 2, the industry is definitely looking toward something similar as a possibility. With the prevalence of 3D and IMAX in big blockbusters these days, that is what many movies are going for. This would obviously be a huge expense and require massive theater overhauls, but with movie revenues down and VOD and streaming becoming more central, the industry is looking for any way they can take more of your money.